Where do ideas come from? | Schott, P.C. From nothing came Let It Be, Starry Night, calculus, East of Eden, Star Wars, the Taj Mahal, Oreos, the Internet. Somehow we look into the grey unformed nothingness clay in our heads–and we create. No one can explain how we do it–what makes this mundane sentence that I’m writing even possible–and yet we have been doing it for a long time. 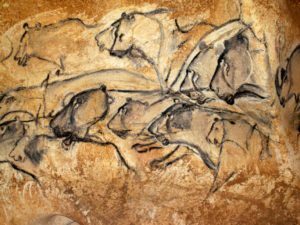 The Chauvet Caves in France hold cave paintings that date back almost 40,000 years with hints of art in bits of sculpture and paint dating back over 150,000 years. So even when humans would have struggled to find food, when were as often the hunted as the hunter, and had only a limited understanding and time for medicine, we found time to create. 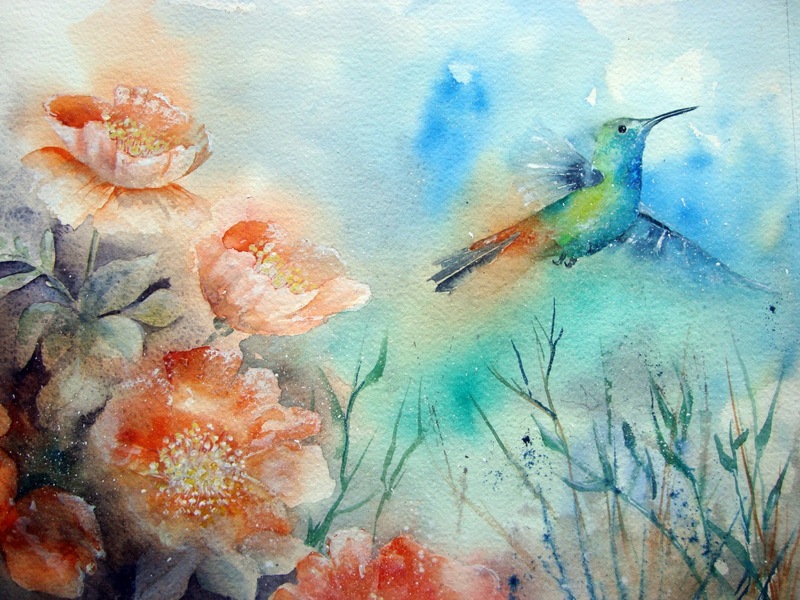 How is it that we access our ability to create? Neuroscience can help identify the areas of the brain that are activated as we create. Someone coined a right brain/left brain dichotomy early on but the most in depth studies show this to be a myth. In fact, during creation many areas of the brain light up and talk. A creative idea inside the brain is therefore a neural network of electro-biological signals that has never been formed before. But what caused this network to form? And how can we form more? Neuroscientists can only hint at environs that help creativity–and not at its ultimate root cause. Which leaves science without a lot of insight into how we render a painting, write a song, make a new food combination. 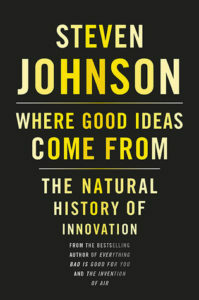 Other scientists like Steven Johnson note that ideas are rarely the epiphany-eureka moment of literature. The apple doesn’t hit Isaac Newton on the head. Instead, he says, our most creative ideas arise from a “slow hunch.” One example is from Charles Darwin, who for years in his personal diaries was deeply pondering the tenets of natural selection, without linking together the simple over-arching theory. In his diaries, he is consumed with changes in birds due to environment over time. That certain birds of certain characteristics would not survive long-term and others would. These deep observations link to other insights he’s having, and yet he lacks the certainty to espouse his theory of natural selection until each piece of his network forms. And when we think of creation as a network, we can then look at ideas as needing a culture to help form those connections. Is it a coincidence then that right now, the most networked place on earth is the Silicon Valley, our innovation hub. It became a hub of coffee house idea culture. It has an abundance of shared workspaces. Employees moving between companies act like bees spreading the pollen of ideas from one innovative place to another. Companies like Google recognize the huge benefit of idea-spreading so much that they encourage their employees to spend 20% of Google time on their passions–recognizing that a network administrator may create AdSense, Gmail, Google Maps, Google News, Google Talk–to name a few outgrowths of Google’s 20-% policy–if they follow their own passions instead of the corporate mandate. With policies like this, is it any wonder that the Silicon Valley is a cradle of ideas? But even if scientists conceive of ideas as a neural network, and even if we can form a petri dish of the idea coffee house as a place for the ideas to form, who can answer the title question of this article: Where do ideas come from? If the scientists fall short, maybe we can ask the artists. When we do, we find that their answers provide fewer concrete answers, but they do give us a welcome poetical vagueness. Vague because in the end these artistic minds give no more surety than neuroscience’s “ideas come from all over the brain.” Welcome because their answers provide a metaphorical framework that feels relatable. And poetical because, well, you be the judge. [The idea pool is] the pool where we all go down to drink, to swim, to catch a little fish from the edge of the shore; it’s also the pool where some hardy souls go out in their flimsy wooden boats after the big ones. It is the pool of life, the cup of imagination, and … different people see different versions of it, but with two things ever in common: it’s always about a mile deep in the Fairy Forest, and it’s always sad. Because imagination isn’t the only thing this place is about. King’s and Hafiz’s otherworldy-sounding descriptions of where ideas come from, however, lodge sideways in a scientist’s mind. And being one, I get that. But consider a few spooky coincidences in the fields of scientific discovery: The 17th-century independent formulation of calculus by Isaac Newton, Gottfried Wilhelm Leibniz and others; the 18th-century discovery of oxygen by Carl Wilhelm Scheele, Joseph Priestley, Antoine Lavoisier and others; the theory of evolution of species, independently advanced in the 19th century by Charles Darwin and Alfred Russel Wallace. This coincident invention and discovery is so commonplace that it has been studied under a term called Multiple Discovery. 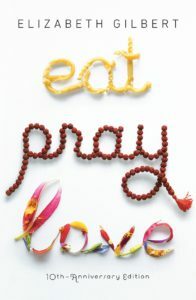 And consider Eat, Pray, Love author Elizabeth Gilbert’s story in Big Magic: Creative Living Beyond Fear about an idea she had. Gilbert had an idea about a midwestern pharmaceutical executive that goes to the Amazon searching for a drug, but gets tangled in a murder. Gilbert was sketching out the plot but eventually didn’t see it through. A few months later, she was talking to her friend, the author Anne Patchett, who told her she was working on a book about–wait for it–a midwestern pharmaceutical executive that goes to the Amazon searching for a drug and who gets tangled in a murder. When the authors compared notes, Patchett got her inspiration for her State of Wonder at the precise moment when Gilbert gave up on her own idea. All this leaves the title question unanswered. And given science’s failure to uncover where ideas come from, and the discoverer’s own poetic answers, that gives some comfort: Maybe human creativity is a body of water whose depths we cannot fathom. Closing such an exploration on an IP note may seem out of place, but this blog has a theme, and there may be some on-point advice to give. The multiple discovery phenomenon is well-known and documented. Why it happens is anyone’s guess but that it happens is beyond doubt. From an IP attorney perspective, the takeaway is: File now. Protect your ideas before Lucinda does.